Bright spring colors reflect the soft and youthful enthusiasm of this season. 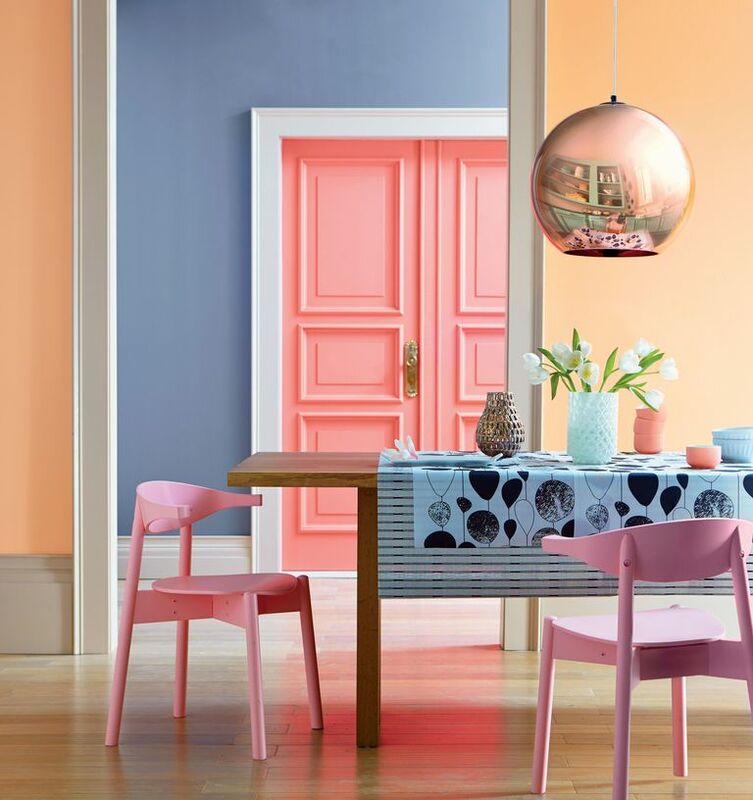 The good news is there are many ways to bring bright spring colors into your home. In addition, you do not always need to paint the walls or buy furniture in bright colors. Instead, simply swap cushions and other accents out for a fresh spring look in your home. 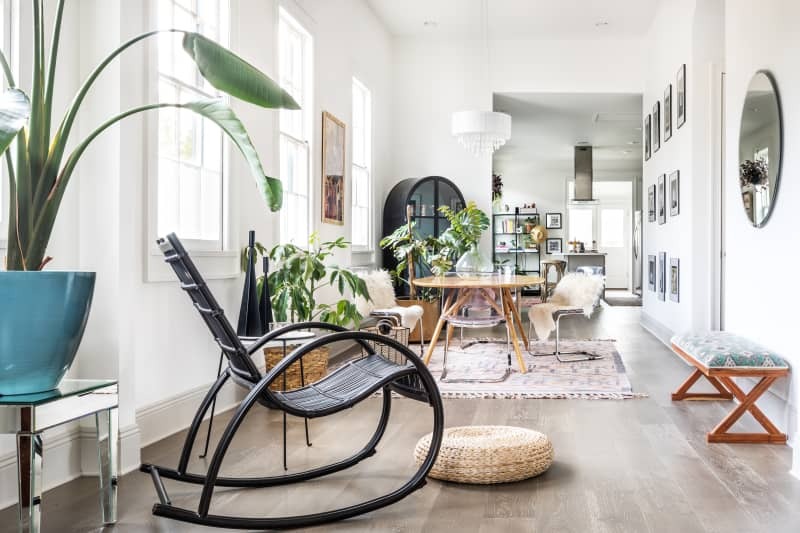 Today, I’ve gleaned the internet to bring you these interior design scenes of spring for your inspiration and enjoyment. These luminous tones make you feel like doing a twirl because there is nothing more refreshing yet subtly dramatic than these ice cream colors. Mix and match them for a brilliant mashup of springtime design – Italian style! Surprisingly soft yet bright coral and green in this ultra-charming day room make this my favorite spring scene. Imagine the steel drums playing in the background while your family and guests enjoy their time together on warm spring days. The aqua-marine color on the shutters and frames carries over to the round glass-top rattan tables and sofa while the coral cushions sit snuggly in the natural rattan furniture with its soft round corners. Additionally, three large evenly spaced splashes of greenery balance perfectly. We must not forget the big round wood framed mirror that represents the sun and reflects the natural light for a wonderful expansive feeling. This room starts out with light beige walls, matching sofa, and carpet, but that’s where the neutral ends and the glam begins. With accents of gold, deep coral, and deep sky blue, this room softly dazzles the eyes with just the right pops of glam. Incidentally, this is a great example of accents that can easily be switched out for an updated color scheme. This romantic Asian theme continues with accents of goldtone shelves and stacking end tables. I don’t think I would ever be able to let go of the inspiring brass lotus lamp! 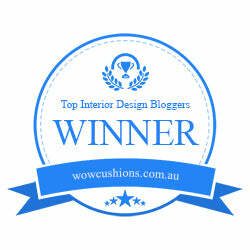 Moreover, the shaggy gold and silver cushions are nothing less than metallic glam genius. They brilliantly offset the coral and blue patterned cushions while the three small round white ceramic tables bring it all together for a glamorous yet completely comfortable conversation area. This design starts with bright white walls and black frame wall hangings, shelves, and a fabulous bentwood rocker. The rest of the room then layers out with natural wood and lots of other earthly textures. There is also a subtle theme of soft round finishes in the bamboo shelves, rocking chair, ottoman, wall mirror, and dining table. Additionally, three pots of greenery spread evenly across this space brings the outside in for a lovely touch to this casual living space. White walls and chairs are evenly balanced with textures of wood and rattan in this dining space. Light coral curtains hang gracefully as a gentle reminder of spring and add a nice backdrop to the amazing handcrafted dining table. Adorning the table is an arrangement of glass vases with rattan holders and white pottery. Add freshly cut green and blue hydrangeas for a springtime artisan setting that impresses everyone. This small cozy room is enhanced with mirrors that illuminate and reflect in this bright light blue-grey setting. It begins in the neutral tones in the entryway with greetings from a vertical row of square metallic frame mirrors. However, the focal point is the reclaimed architectural window frame with a mirrored background. Elephant ear philodendron and fresh cut flowers bring nature inside to sweeten the air. With the tall, wide mirror that reflects natural sunlight throughout, this room says a cheerful hello to spring. 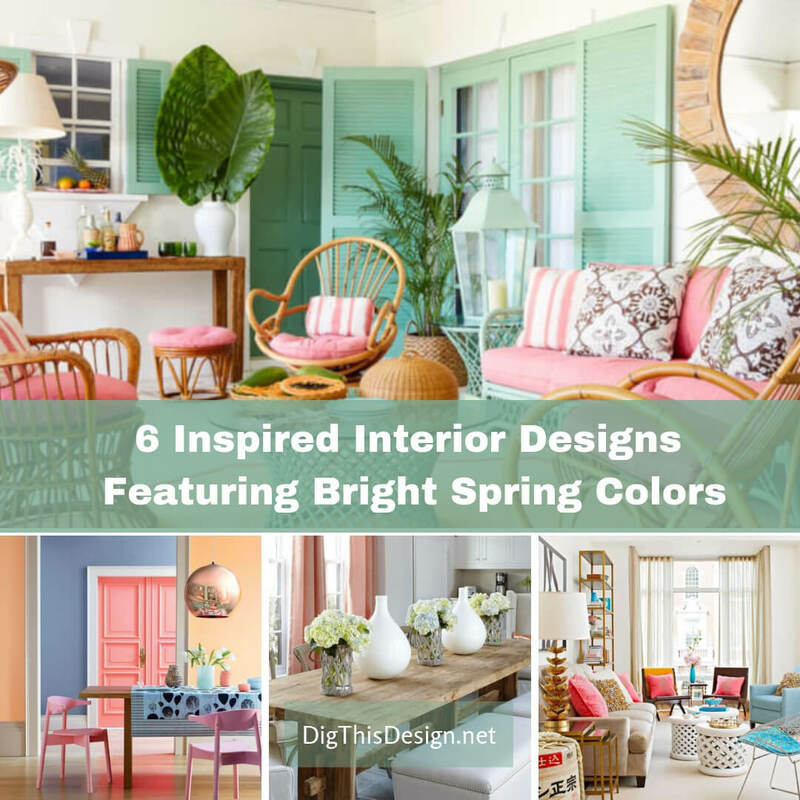 I hope you’ve enjoyed and found inspiration for your bright spring colors interior design. I’ve also included some links directly below for more spring design tips and ideas.